I've been trying to astral project for a few years. I gave up initially after always getting stuck trying to leave my body. Now I am getting further but it's slow progress. On three occasions I have left my body and felt like I was floating around in the bedroom but had no luck actually seeing anything. On trying to open my eyes I found myself seeing exactly what I would see from my body lying in the bed, although I was certainly still asleep and paralysed. 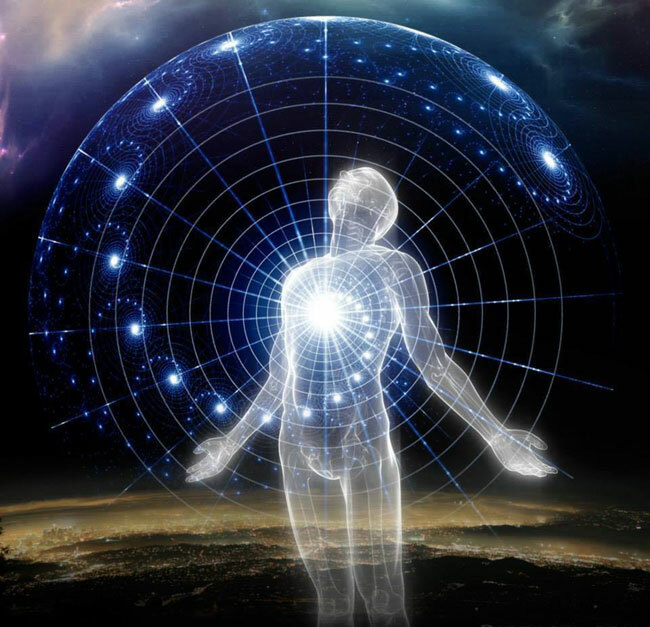 Today I had some strong vibrations, the strongest I have ever felt, and flew up out of my body at speed just by thinking about it, I saw some amazing fractal type patterns and heard a dog chasing around the room (nothing there). I tried shouting 'Clarity Now!' as per William Buhlman, nothing. Tried to open my eyes but saw what I would see from my sleeping body and got dragged back into my body, floated out again, floated around trying to think what to do next, asked a guide to let me see, again nothing. Eventually I gave up and returned to by body and woke myself up. In addition I have no sense of feeling, just a vague buzzing feeling in my 'body'. I suppose I'm not properly separating? It sounds like you are getting stuck at the "shock and awe" stage, aka the "signposts". Right now you just need to learn to be a good observer. Slow progress is still "progress". Stay the course and you will see things will change. It is a "shift" in consciousness, not a separation. Don't open your eyes until you feel that your session is complete. That will instantly destroy all of your previous work. Like I said above, just learn to observe for now. Every new sensation, sound and visual shows you are progressing. Relax, release and let go. Thanks for replying so quickly Lumaza. Can I clarify? Are you saying that I should float around observing until I feel somehow different? I'm not entirely sure what you mean by waiting until I feel my 'session is complete', that's not a phrase I have come across before. I meditate daily and 'observe' then, are you saying I should essentially meditate whilst in this state? Agree I am making progress compared to a few years ago. What I meant is don't open your eyes until you are finished with that "session". Right now you might be at the stage of being taught to experience from a "tactile" point of view. When the visuals are necessary, they will be there. NP experiences can take many shapes and forms. Sometimes I just "float" in the 3D darkness, other times I find myself in fully visual adventures. But in the end, they are all still experiences. I know this will sound strange, but sometimes when you find yourself just floating in the void, you can reach out with your etheric hands and "open the curtains" in front of you. I do that often and see there is always some kind of imagery behind them. Don't look for the curtain, just know it's there. Grab both sides and rip them open. Tricks like that do get favorable results. The same goes with any kind of visual jumpstart. Say shooting a Basketball in the NP. Don't look for the ball or the hoop you are shooting at. Just know it is there and it shall be. Any doubt will knock you out. Don't underestimate the "shock and awe" factor. There is so much out there that will still "shock and awe" you. It isn't like it was in the book because you weren't that "Author". You are the Author of your own book. I see what you are getting at. Each experience has lasted longer and I have had more of my faculties each time. There is progression, and as you say perhaps I am being taught how to handle it bit by bit. Maybe I do just need to let it unfold and when the visuals happen it will be a nice surprise. Having said that I will try the 'curtain' trick, and perhaps just expecting visuals might be enough I'm sort of not really expecting them at the moment! I had a similar experience as to Lumaza's description of just pulling back the curtains when in the void. Mine started off as a normal dream and than turned into a Lucid dream. Once my awareness kicked in I was pretty much in a dark void. All I did was thought of a portal in front of me and than crawled thru it. I actually got stuck at first and decided I needed to make the portal a little larger and than made it thru. Once I made it thru I was in a library of thousands of books on bookshelves. I believe this was my minds interpretation of all the knowledge available to me in my subconscious. Anyways, this was the beginning of a nice Lucid Dream adventure! I posted the following Topic to be able to provide you (and those persons in your same condition) the easy solution to your situation. By having Tens to Hundreds (and even Thousands) of Minutes of LUCID DREAMING experience you'll know what to do when in a condition like the one you describe (a transition space or tunnel or cavern where your Energy Body is currently into and is moving with the senses of sight an touch diminished) and many others more, and you'll learn by TRIAL and ERROR (and SUCCESS) that one of the things to do in those cases is to TRY EXTEND YOUR ARMS AND TRY TO TOUCH SOMETHING (AND SEE), (even when no hands can be seen or felt but the process of trying to extend your arms and hands will form them even if they are not perfect but will serve the purpose even in a clumsy way and in some occasions when stabilizing the experience they correct and function well in other cases they don't but they allow to explore some in a clumsy way, I mention this for persons not to be shocked by this but just go along with the tools and resources of the current moment), eventually in the FOGGY and DARKNESS some silhouettes will be eventually perceived like when you are trying in the "physical" world called Earth to stare into a dark space/room and are those silhouettes the ones that should be reached, touched, and grabbed, as when that occurs the Energy Body with your consciousness in it will Stabilize and Adapt to the conditions of the grabbed object/silhouette and a Dream Space (/Astral Space) will form around you either in an instant or little by little, for you to start walking (as best as possible in every particular situation) and moving and exploring, but this and MANY other things (TRICKS and TIPS) can ONLY be learned thru direct experience in the Dream Worlds (/Astral Realms), as with only a few occasional and explosive and non stable Direct Astral Projection experiences you won't be able to acquire such experience that can ONLY be acquired with Tens and Hundreds (and maybe even e few Thousands) of Minutes of Lucid Dreaming (/Astral Projection by Lucid Dreams) experience. Read the Topic of the link above. I placed in it a lot of what those who don't want to lose their time (even years like you describe in your post) and are trying to "RUN" before even learning to "CRAWL", can do to start making REAL and TANGIBLE and USEFUL progress. Thanks everyone. Some more great advice from people who know what they are talking about. The books make it sound like you just project and float off on a great adventure meeting guides and exploring other dimensions, some mention lack of vision as if it's just a matter of asking for it and bingo no problem. It's not quite like that in reality, for me anyway. Can't wait to have another chance to try to push (is that the right way of saying it?) things a bit further.